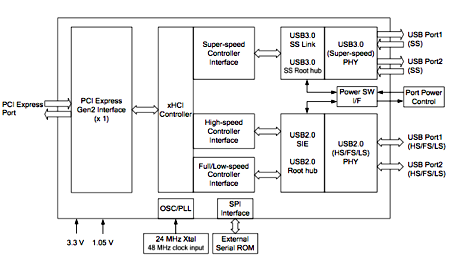 NEC has taken the wraps off what may be the world's first control chip for USB 3.0 - aka SuperSpeed USB. The µPD720200 implements the most recent version of the USB 3.0 specification to deliver data-transfer speeds of up to 5Gb/s - more than ten times faster than USB 2.0's peak. NEC's µPD720200: powering USB 3.0 PCs by the end of the year? The NEC part is fully compatible with older versions of the standard. Indeed, USB 3.0 mandates the presence of a USB 2.0 bus alongside the higher-speed link for this very reason. The chip is based Intel's eXtensible Host Controller Interface (xHCI) outline, a set of guidelines for building USB 3.0 Host Controller chippery that the company released last year to avoid accusations that it had a headstart on the development of SuperSpeed silicon. 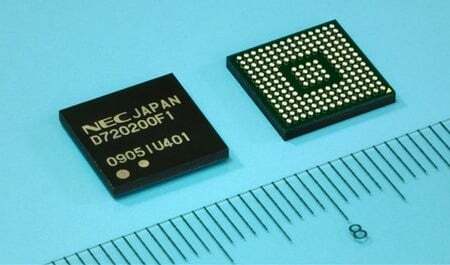 NEC's 1cm² chip connects to a machine's PCI Express bus. Computer manufacturers who want to get their hands on the part will be able to do so next month when the µPD720200 samples at $15 a pop.